Information You Give Us: We receive and store any information you enter on MedicBatteries.com or give us in any other way. You can choose not to provide certain information, but then you might not be able to take advantage of many of our features. We use the information that you provide for such purposes as responding to your requests, customizing future shopping for you, improving our stores, and communicating with you. We will never sell, lease, rent, or give away your information to other businesses or companies. Automatic Information: We receive and store certain types of information whenever you interact with us. For example, like many websites, we use "cookies," and we obtain certain types of information only when your web browser accesses MedicBatteries.com or advertisements and other content served by or on behalf of MedicBatteries.com. E-mail Communications: To help us limit the number of unwanted or irrelevant emails we might send, we often receive data related to e-mails you may open, if your computer supports such capabilities. We also compare our customer list to certain interactions conducted on MedicBatteries.com, in an effort to avoid sending unnecessary messages to our customers. If you do not want to receive e-mail or other mail from us, please call or email us to let us know. You may also opt out of our mailing lists at any time, if you wish to no longer receive most e-mails we might send in the future. We do send an automated series of transactional e-mails which cannot be opted out of, such as: order confirmations, shipping/tracking updates, and between 1 and 3 post-purchase follow up emails used to ensure your satisfaction with our products, services, and those of any 3rd party providers (such as UPS) we may contract with. The purpose of these emails is to help us learn to better serve you and other customers in the future. Does MedicBatteries.com Share the Information It Receives?We do not sell, rent, lease, or share information we receive from customers. This information is crucial to our business and we acutely understand the responsibility of protecting any information you give us. We share customer information only with our other business units as described below, each of which follows the same practices as those described in this Privacy Notice. Affiliated Businesses We Do Not Control Third-Party Service Providers: We may employ other companies and individuals to perform functions on our behalf. Examples include website hosting, tools and services to secure transactions and monitor the PCI compliance of MedicBatteries.com, web and integration programming, fulfilling orders, delivering packages, sending postal mail and e-mail, removing repetitive information from customer lists, analyzing data, providing marketing assistance, providing search results and links (including paid listings and links), and processing credit card payments. They have access to personal information needed to perform their functions, but may not use it for other purposes. Privacy Protection of MedicBatteries.com and Others: We release account and other personal information when we believe release is appropriate to comply with the law; enforce or apply our Conditions of Use and other agreements; or protect the rights, property, or safety of MedicBatteries.com, our users, or others. This includes exchanging information with other companies and organizations for fraud protection, credit risk reduction, and online security. This does not include selling, renting, sharing, or otherwise disclosing personally identifiable information from customers for commercial purposes in violation of the commitments set forth in this Privacy Notice. By Phone, Email, or Other at Request: If you, someone acting on your behalf, or anyone else requests information about you (under conditions not covered within this Privacy Notice) or your business relationship with us, we will not disclose specific or personally identifiable information without making a fair effort to determine your identity and/or consent. For example, if your accounting department requests a copy of your invoice, we will ask a series of questions to determine the legitimacy of the request, including asking them to provide information such as order or invoice number, billing address, and other information you have given us in the past. If they cannot answer the questions, we will not disclose any information to the person. How Secure Is Information About Me? The security of your information is protected during transmission by using Secure Sockets Layer (SSL) software, which encrypts information you input. We use multiple third party vendors to audit and assess our on-going security as a measure of pro-actively protecting any personal information you may transmit to us.We reveal only the last four digits of your credit card numbers when confirming an order, and we do not retain your credit card numbers after collecting payments you have authorized. We do transmit the entire credit card number to the appropriate credit card company during order processing.We do rely on you to protect yourself and your account against unauthorized access. We do not accept credit card information by fax or email. If you are reading credit card information over the phone or are using a public computer, please be aware of your surroundings and be sure to sign off and/or clear your browser cookies when finished using a shared or public computer. Please be careful when using public or unprotected wireless networks, where your personal information could be compromised without your knowledge. Which Information Can I Access? MedicBatteries.com gives logged in account users access to a broad range of information about your account and your interactions with us for the limited purpose of viewing and, in certain cases, updating that information. What Choices Do I Have? As discussed above, you can always choose not to provide information, even though it might be needed to make a purchase or to take advantage of certain features. You can add or update certain information on pages such as those referenced above, including Shopping cart, product reviews, checkout, and logged in account pages. When you update information, we may keep a copy of the prior version for our records. If you do not want to receive e-mail or other mail from us, please adjust your Newlsetter preferences and/or unsubcribe using the link provided in our emails. (If you do not want to receive Conditions of Use and other legal notices from us, such as this Privacy Notice, those notices will still govern your use of MedicBatteries.com, and it is your responsibility to review them for changes.) You may also call or email us for assistance with removing you from our lists. If you wish not to receive transactional emails related to your order, please call us and our Customer Experience team will attempt to place your order in an offline manner in such a way as to reduce or eliminate the number of transactional emails we generally send. The Help feature on most browsers will tell you how to prevent your browser from accepting new cookies, how to have the browser notify you when you receive a new cookie, or how to disable cookies altogether. Additionally, you can disable or delete similar data used by browser add-ons, such as Flash cookies, by changing the add-on's settings or visiting the website of its manufacturer. 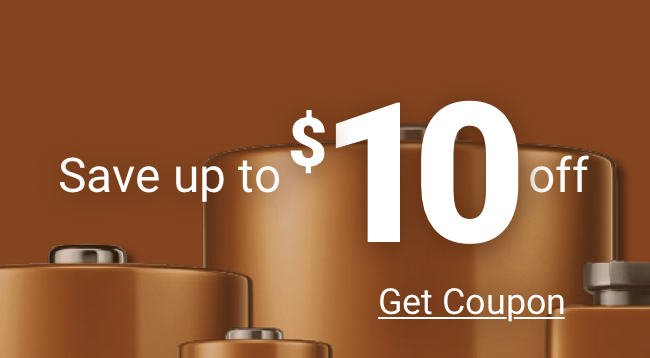 Are Children Allowed to Use MedicBatteries.com? We do not sell products for purchase by children. Any products we sell for children must be purchased by adults. If you are under 18, you may use MedicBatteries.com only with the permission of a parent or guardian. Conditions of Use, Notices, and Revisions If you choose to visit MedicBatteries.com, your visit and any dispute over privacy is subject to this Notice and our Conditions of Use, including limitations on damages, resolution of disputes, and application of the law of the state of Ohio. If you have any concern about privacy at MedicBatteries.com, please contact us with a thorough description, and we will try to resolve it. Our business changes constantly, and our Privacy Notice and the Conditions of Use will change also. We may e-mail periodic reminders of our notices and conditions, but you should check MedicBatteries.com frequently to see recent changes. Unless stated otherwise, our current Privacy Notice applies to all information that we have about you and your account. We strive to create Remarkable Customer Experiences, and will always view changes to our policies and practices with the aim to make them more protective of customer information. You provide most such information when you search, buy, submit a review, submit a request for advice online, or communicate with customer service. For example, you provide information when you search for a product; place an order; update your account information; communicate with us by phone, e-mail, or otherwise; or complete a questionnaire or a contest entry form. As a result of those actions, you might supply us with such information as your name and contact information; information about your surroundings or the company you work for; credit card information; people to whom purchases have been shipped, including addresses and phone number; content of reviews, surveys, and e-mails you submit to us; personal description and images; and financial information. Examples of information we receive from other sources include updated delivery and address information from our carriers or other third parties, which we may use to correct our records and deliver your next purchase or communication more easily; account information, purchase or redemption information, and information supplied from affiliates and/or 3rd party technology platforms we contract to provide advanced features and services (such as dynamic coupons or special offers); search results and links, including paid listings; and credit history information from credit bureaus, or public information which we use to help prevent and detect fraud and to confirm order details. Examples of information you can access easily at MedicBatteries.com include up-to-date information regarding recent orders; personally identifiable information (including name, e-mail, password, communications and personalized advertising preferences, and address book); e-mail notification settings (including Product Availability Alerts, Delivers, and newsletters); shopping lists; and your account information.